Summer‘s sweetness! Raspberries, melting in your mouth, will change any other sweet. 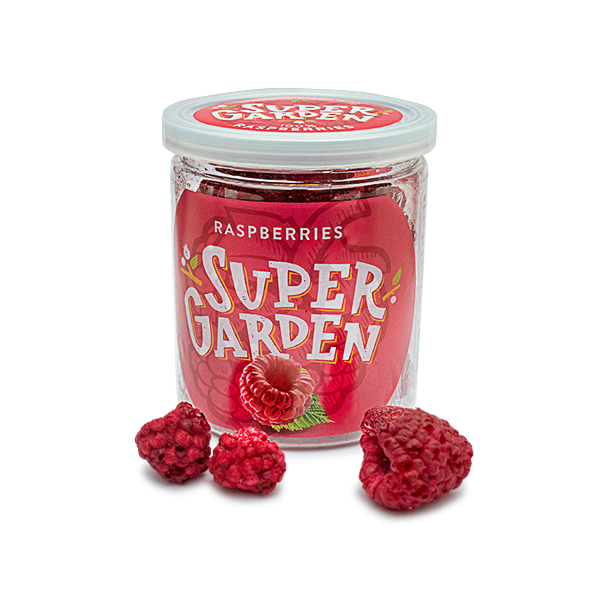 Put the jar of raspberry jam aside and instead them bring the comfortable packet of „Supergarden“ raspberries. Choose freeze-dried berries instead of regular snacks: light weight, tastes great. Cocktails and smoothies will gain a much stronger taste of berries - more sour or sweeter, it's up to you. Only a handful of freeze-dried berries and the most regular morning porridge will become a delicacy. You like yogurt? Try it with various berries - the aroma won't disappoint you. The most luxurious cake, decorated with freeze-dried berries, will not let you down. 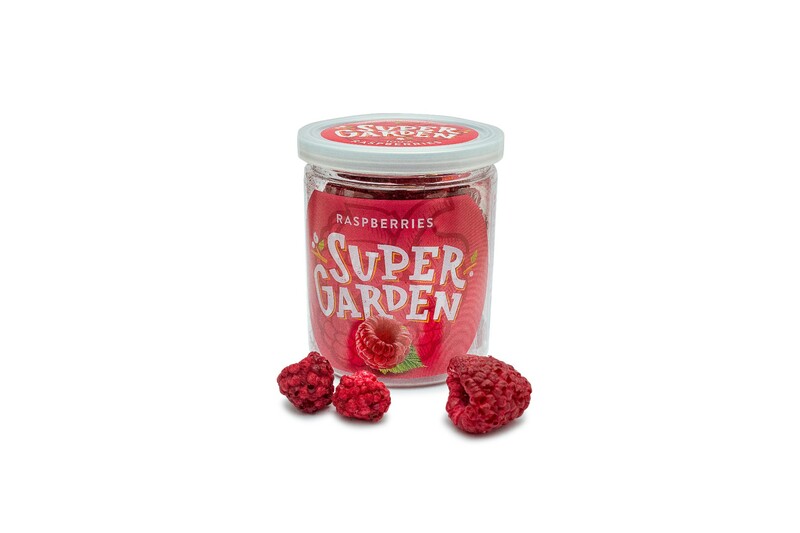 The crispiness and friability of freeze-dried berries will go together with any drink you choose. Just throw in a couple of berries. Energetic and nutritional values per 100 g: 310 kcal/1300 kJ, fat 2g, of which saturates 0.1g, carbohydrates 34g of which sugars 34g, fibre 33g, protein 9g, salt 0g.